Sharp has added yet another TV to its premium Aquos D65 range, where the focus is very much on big. The LC-46D65E 46-inch telly is Full HD (1920x1080p), has Freeview built-in – with an EPG of up to eight days – and harbours an Energy Save Mode. 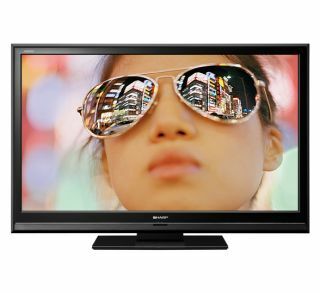 The TV comes with High Contrast 2,000:1, and boasts Dynamic Contrast of 10,000:1. Connectivity comes in the form of 3x HDMI and two SCART ports. When it comes to sound, the LC-46D65E offers Dolby Digital playback through its 2x 10-watt speakers. The TV's slim-line chassis comes in piano black and is retailing for £999.The Aquos D65 also come in 37-inch and 32-inch sizes.